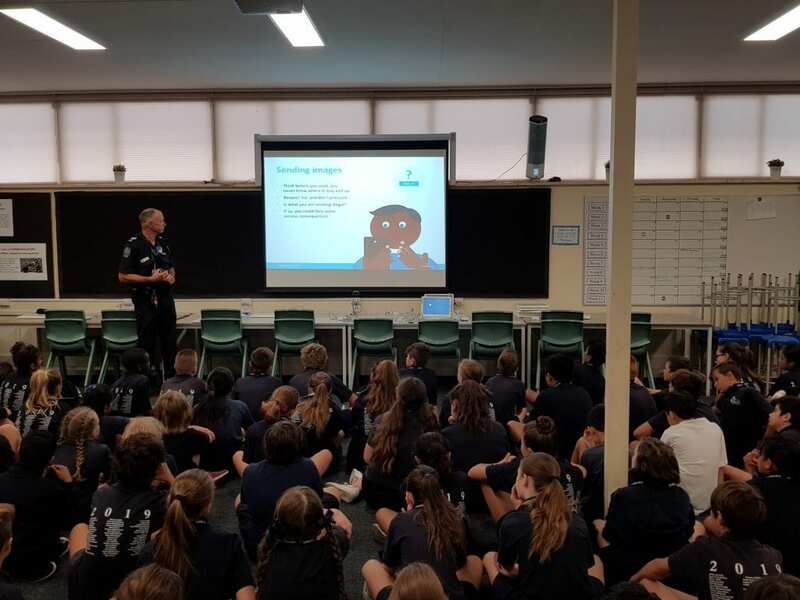 Sergeant Peter Winter from the South Australia Police visited our Years 6 and 7 students this week to talk about how students can keep safe and be respectful online. Sergeant Winter sensitively covered a range of topics in his presentation, including sexting, cyber bullying, online child exploitation, online privacy and, importantly, what to do when something goes wrong. Teachers and school staff are working hard to teach children how to keep safe and be responsible online. We urge families to support us by taking this opportunity to review your family expectations and parental controls. We encourage you to take a look at this example of a Family Online Safety Contract and consider how you may use something similar. Tell my parents or carer if I see something that makes me feel upset, uncomfortable or scares me. Be aware that people online are not always who they say they are, and do not always tell the truth. Let my parents supervise where I go online as I understand they do this to help keep me safe. Tell my parents or carer if someone sends me rude or naked pictures, or links that I did not ask for. Not give out personal information about myself, my family, my friends, or others online, including full names, addresses, phone numbers or schools. Not share my passwords or usernames with anyone but a parent or carer. Treat others the way I want to be treated online and with the same respect as I would offline. Never use the internet or a mobile device to cyberbully someone. Make sure all of my accounts are always set to private. Not talk to anyone online, or add anyone on my social networks, if I don’t know them offline. Never agree to meet someone in person that I have only met online, and I will tell my parents if someone asks to meet me. Accept my parents or carer as a ‘Friend’ on social media. Not respond to emails, instant messages, messages or friend requests from people I don’t know. Never send someone a photo of myself online without checking with my parents or carer first. Learn how to block and report people online and tell my parents or carer immediately if doing this. Ask for permission before downloading any apps, games or software, so my parents or carer can check these are appropriate for my age and won’t harm the device. Talk to my parents or carer about the internet, apps, games and websites I enjoy. 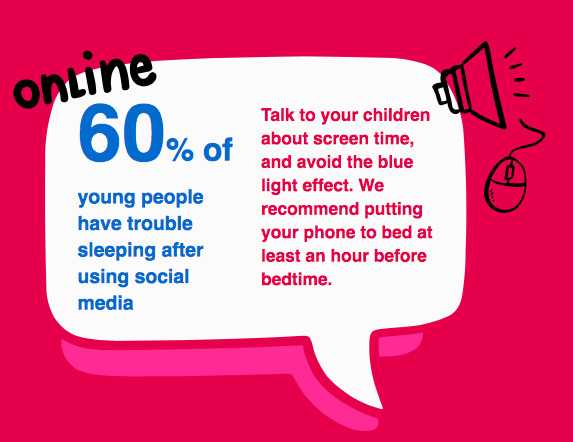 Agree to the online time limits set by my parents or carer and put my devices to bed at night to help me get a restful sleep.